Perfect in black and white it really brings out the textures. This is so beautiful! I love the angle you shot it from, love the textures and your B&W conversion is perfectly done! FAV! 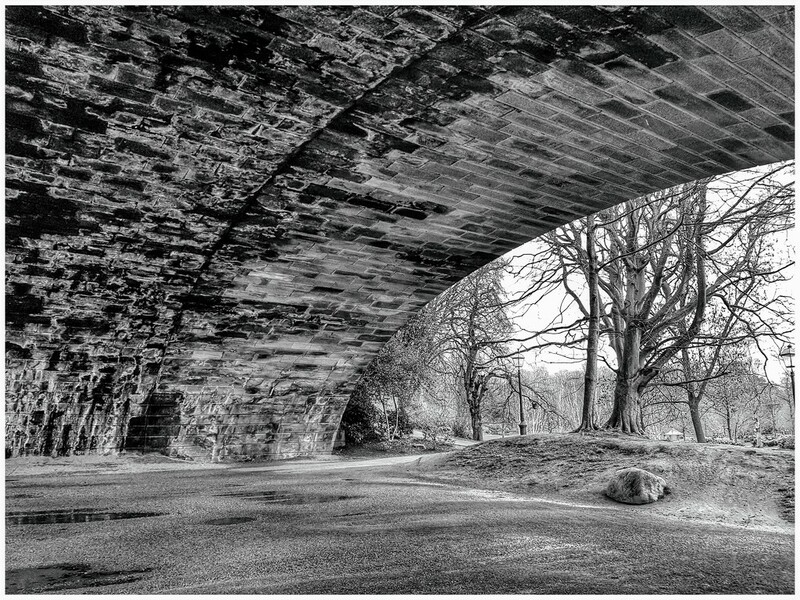 The HDR had brought out the stone detail under the bridge very well.